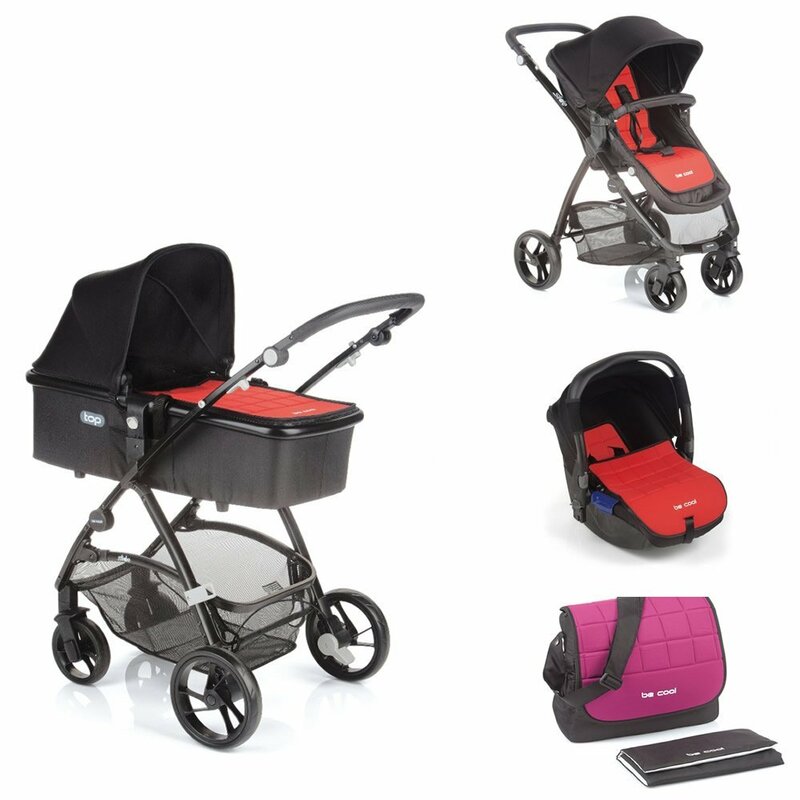 Slide, the new Be Cool pushchair with a modern design. With the “Reverse” seat so it can be turned round and with a simple and compact folding system. Including the complements of a hood, basket, rain cover and bag. Also fitted with the PRO-FIX system ,Top can be attached. Weight: 7.5 Kg. Modern, 100% aluminium chassis with reversible seat. Very compact book-type folding. Includes hood, large basket, rain cover, foot cover and bag. PRO-FIX system – Cocoon, Twice, Top and Zero can all be attached without fasteners, with just one hand. 1- Detachable wheels. 2- Handlebar positions. Protective handlebar cover. 3- Maximum reclining / Protective visor. 4- Reclinable with just one hand. 5- Foot cover close-up and reversible mat. 6- Rain cover. 7- Easy and compact holding (with or without hammock) 8- Cable activated simultaneous brake. The Be Cool Zero is a group 0+ car seat suitable from birth to 13kg (normally achieved at 12 – 15 months). It is one of the lightest and safest car seats in the world as it boasts extra features like central seat belt locking and anti rotation features. As a added bonus the Zero has a reversible apron (on this model red & purple) and will fit onto pushchairs with “Pro-fix” fittings (in other words no adapters required on matching Pro-fix pushchairs).